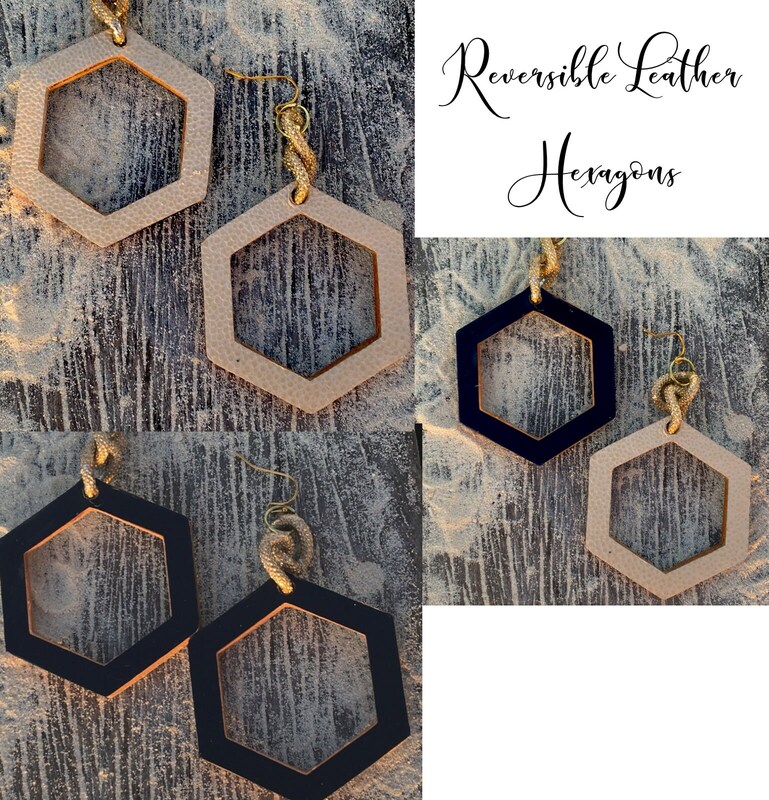 Reversible Leather Hexagon Earrings. Theses are light as a feather leather. 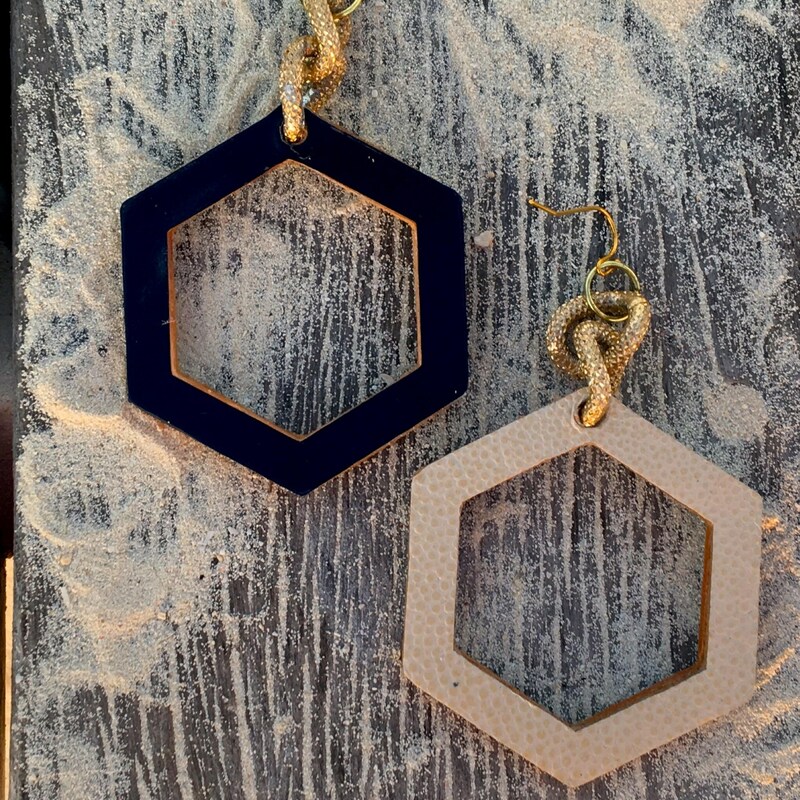 One side is a textured cream leather and the other a stunning navy. These are easy to reverse and extremely versatile. 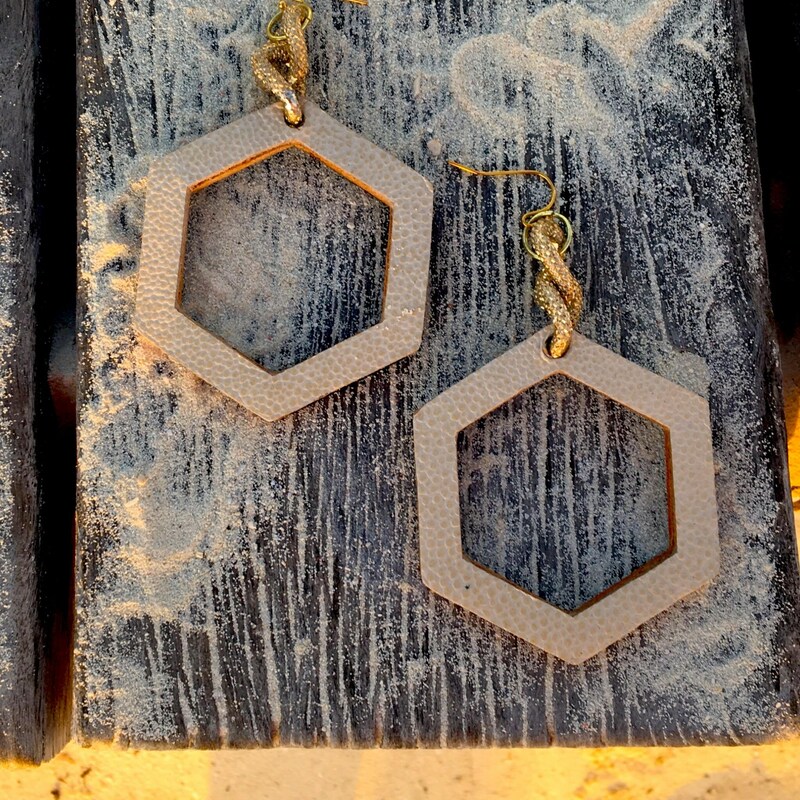 These stylish earrings weigh in at only 2 ounces and feel like your wearing nothing. Made in our studio in Austin Texas. RArehandsBoutique is dedicated to inspiring those with chronic illness to use creativity as therapy. 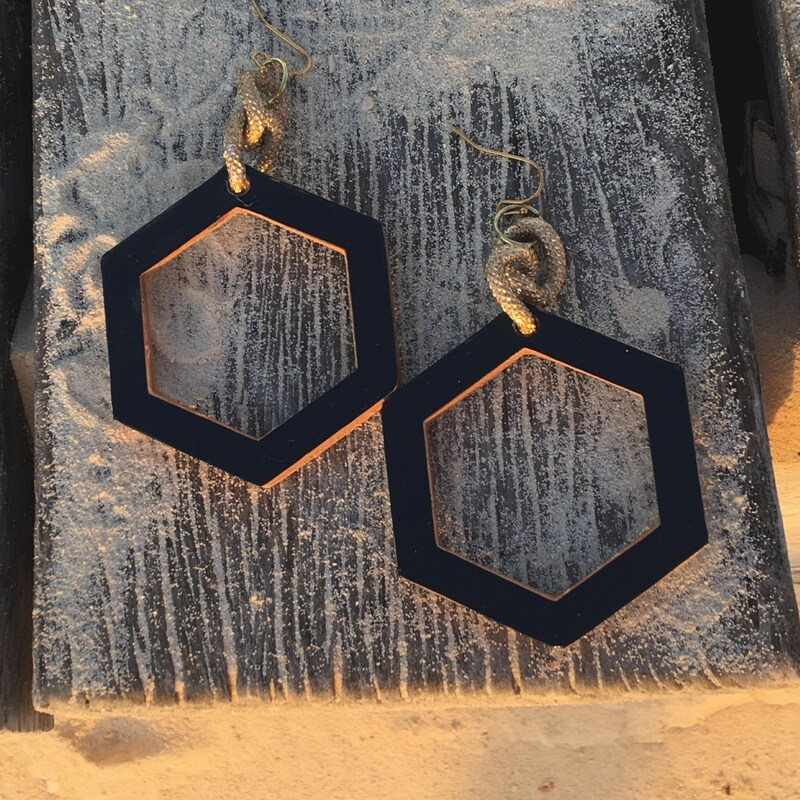 10% of all proceeds go to Arthritis Research.